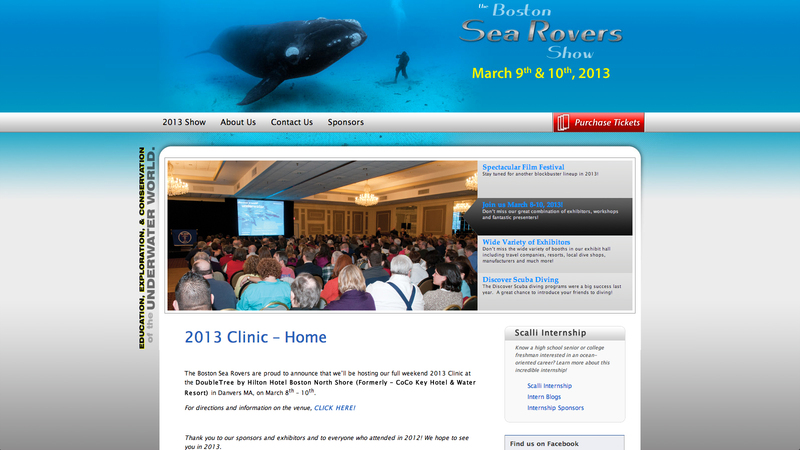 The Boston Sea Rovers organization is a non-profit group that produces a yearly show about the underwater world. The show is now in its 60th year, so promoting it online is important to continue its long-standing mission to educate the public on diving and the ocean. The website needed to be able to sell tickets, collect mailing list info, follow the interns blogs, etc. Visit this Boston area non-profit website.